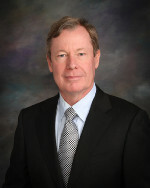 The chief executive officer of Valencia Technologies Corporation, Jeffrey Greiner brings over 25 years of experience in medical technology to the California firm. Since founding the company, he has driven the development of disruptive technology for use in neuromodulation and built a manufacturing facility for Class III medical products. In August 2013, Greiner led the firm’s implementation of global, multi-center feasibility clinical trials testing its new technology. Join Today to follow and contact Jeffrey Greiner Advanced Bionics.